Share health information safely and securely. Approved by the Ministry of Health. Backed by local expert support. HealthLink Secure IT Gateway is certified by the Ministry of Health for connecting healthcare professionals to the Connected Health network of New Zealand. HealthLink Secure IT Gateway works with your existing ADSL/VDSL or Fibre internet connection and allows safe sharing of health information. Best of breed security backed by HealthLink’s friendly and responsive support team in Newmarket, Auckland. What is HealthLink Secure IT Gateway? Our SonicWall firewall delivers superior protection for your network while maintaining high performance. Advanced protection against cyber attacks together with an encrypted VPN connection to Connected Health. Friendly and responsive 0800 phone support from the HealthLink team based in Newmarket, Auckland. When you use HealthLink Secure IT Gateway you pay an all inclusive, low-cost fee. We don’t lock our customers in to a minimum term or have an early termination clause. - Certified by the Ministry of Health for safe & secure sharing of health information. Tell us you want to switch (or connect if you are a new practice). We’ll prepare the forms for you. These forms notify the Ministry of Health and HealthLink about the switch. We configure your HealthLink Secure IT Gateway and courier to you ready to connect. Within minutes you’ll be fully protected and able to access Connected Health. HealthLink Secure IT Gateway is offered for a standard monthly fee with no minimum term and no cancellation fee. From our inception, HealthLink’s key purpose has been to enable medical practices to communicate efficiently with the rest of the health system, to improve the quality of care provided to patients. 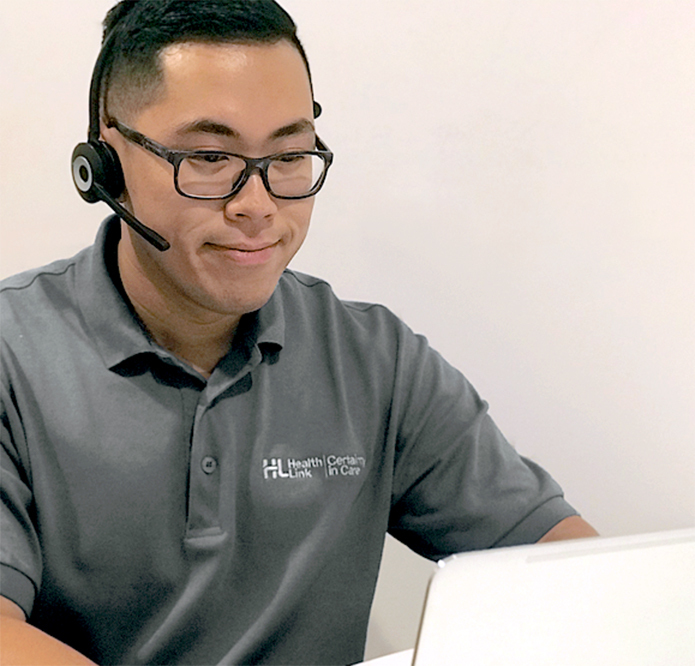 The HealthLink Gateway solution provides an affordable, fast and secure connection to New Zealand’s Connected Health network, backed by a dedicated support team who are here to help if you need it.